This metal box is used to store food. The latches on the doors of this box cannot be manipulated by bears. 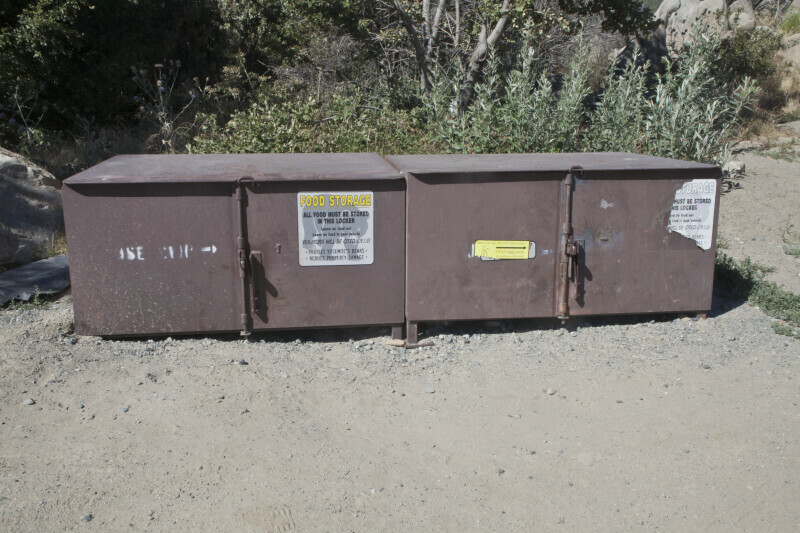 This food storage locker prevents bears from obtaining food from inappropriate sources.